Open to all Euros who wish to come out and be social! Look for the group to be parked in the highlighted yellow area in front of Jamba Juice, there is also Starbucks and Pinkberry if u want to get some food and drinks! 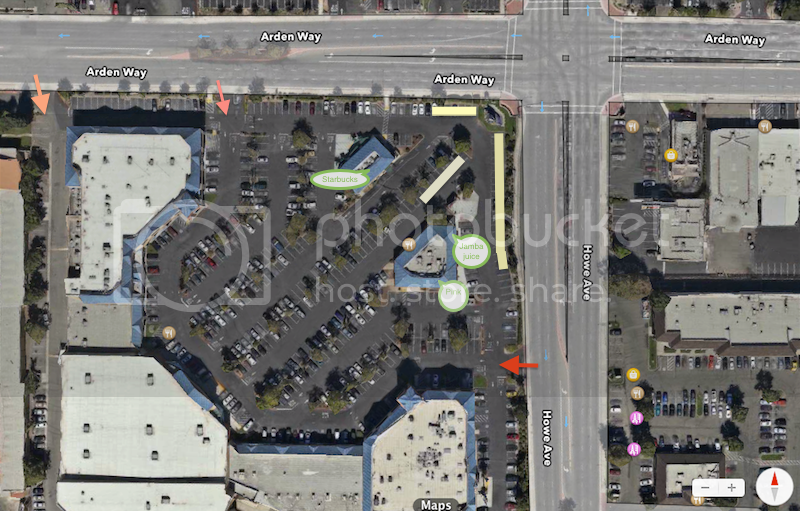 *If you are super low avoid Howe Ave entrance (red arrow) its a pain when there are cars exiting the lot Use the Arden way entrances. we will be parking in the highlighted yellow area in front of Jamba Juice, there is also Starbucks, Pinkberry, and Chilis if u want to get some food and drinks! hope to see you guys there and lets kick off the year with some great meets! bump for tomorrows meet!.. if it rains then we will postpone the meet till 3rd sunday! Bump for tomorrows meet going to be nice and warm! !